The South Pole Telescope (SPT) is a 10-meter (394 in) diameter telescope located at the Amundsen–Scott South Pole Station, Antarctica. The telescope is designed for observations in the microwave, millimeter-wave, and submillimeter-wave regions of the electromagnetic spectrum, with the particular design goal of measuring the faint, diffuse emission from the cosmic microwave background (CMB). The first major survey with the SPT–designed to find distant, massive, clusters of galaxies through their interaction with the CMB, with the goal of constraining the dark energy equation of state–was completed in October 2011. In early 2012, a new camera (SPTpol) was installed on the SPT with even greater sensitivity and the capability to measure the polarization of incoming light. This camera operated from 2012–2016 and was used to make unprecedentedly deep high-resolution maps of hundreds of square degrees of the Southern sky. In 2017, the third-generation camera SPT-3G was installed on the telescope, providing nearly an order-of-magnitude increase in mapping speed over SPTpol. The SPT collaboration is made up of over a dozen (mostly North American) institutions, including the University of Chicago, the University of California, Berkeley, Case Western Reserve University, Harvard/Smithsonian Astrophysical Observatory, the University of Colorado Boulder, McGill University, The University of Illinois at Urbana-Champaign, University of California, Davis, Ludwig Maximilian University of Munich, Argonne National Laboratory, and the Fermi National Accelerator Laboratory. It is funded by the National Science Foundation and the Department of Energy. The South Pole is the premier observing site in the world for millimeter-wavelength observations. The Pole's high altitude (2.8 km/1.7 mi above sea level) means the atmosphere is thin, and the extreme cold keeps the amount of water vapor in the air low. This is particularly important for observing at millimeter wavelengths, where incoming signals can be absorbed by water vapor, and where water vapor emits radiation that can be confused with astronomical signals. Because the sun does not rise and set daily, the atmosphere at the pole is particularly stable. Further, there is no interference from the sun in the millimeter range during the months of polar night. The telescope is a 10-meter (394 in) diameter off-axis Gregorian telescope in an altazimuth mount (at the poles, an altazimuth mount is effectively identical to an equatorial mount). It was designed to allow a large field of view (over 1 square degree) while minimizing systematic uncertainties from ground spill-over and scattering off the telescope optics. The surface of the telescope mirror is smooth down to roughly 25 micrometers (one thousandth of an inch), which allows sub-millimeter wavelength observations. A key advantage of the SPT observing strategy is that the entire telescope is scanned, so the beam does not move relative to the telescope mirrors. The fast scanning of the telescope and its large field of view makes SPT efficient at surveying large areas of sky, which is required to achieve the science goals of the SPT cluster survey and CMB polarization measurements. The first camera installed on the SPT contained a 960-element bolometer array of superconducting transition edge sensors (TES), which made it one of the largest TES bolometer arrays ever built. The focal plane for this camera (referred to as the SPT-SZ camera because it was designed to conduct a survey of galaxy clusters through their Sunyaev–Zel'dovich effect signature) was split into six pie-shaped wedges, each with 160 detectors. These wedges observed at three different frequencies: 95 GHz, 150 GHz, and 220 GHz. The modularity of the focal plane allowed it to be broken into many different frequency configurations. For the majority of the life of the camera, the SPT-SZ focal plane had one wedge at 95 GHz, four at 150 GHz, and one at 220 GHz. The SPT-SZ camera was used primarily to conduct a survey of 2500 square degrees of the Southern sky (20h to 7h in right ascension, −65d to −40d declination) to a noise level of roughly 15 micro-Kelvin in a 1-arcminute pixel at 150 GHz. The second camera installed on the SPT–also designed with superconducting TES arrays–was even more sensitive than the SPT-SZ camera and, crucially, had the ability to measure the polarization of the incoming light (hence the name SPTpol – South Pole Telescope POLarimeter). The 780 polarization-sensitive pixels (each with two separate TES bolometers, one sensitive to each linear polarization) were divided between observing frequencies of 90 GHz and 150 GHz, and pixels at the two frequencies are designed with different detector architectures. The 150 GHz pixels were corrugated-feedhorn-coupled TES polarimeters fabricated in monolithic arrays at the National Institute of Standards and Technology. The 90 GHz pixels were individually packaged dual-polarization absorber-coupled polarimeters developed at Argonne National Laboratory. The 90 GHz pixels were coupled to the telescope optics through individually machined contoured feedhorns. The first year of SPTpol observing was used to survey a 100-square-degree field centered at R.A. 23h30m declination −55d. The next four years were primarily spent surveying a 500-square-degree region of which the original 100 square degrees is a subset. These are currently the deepest high-resolution maps of the millimeter-wave sky over more than a few square degrees, with the noise level at 150 GHz around 5 micro-Kelvin-arcminute and square root of two deeper on the 100-square-degree field. In January, 2017, the third-generation camera SPT-3G was installed on the SPT. Taking advantage of a combination of improvements to the optical system (providing a significantly larger diffraction-limited field of view) and new detector technology (enabling detectors in multiple observing bands in a single pixel), the SPT-3G detector array contains over ten times more sensors than SPTpol, translating almost directly into a tenfold increase in the speed with which the telescope and camera can map a patch of sky to a given noise level. The camera consists of over 16,000 detectors, split evenly between 90, 150, and 220 GHz. In 2018, a new survey was begun using the SPT-3G camera. This survey will cover 1500 square degrees to a depth of < 3 micro-Kelvin-arcminute at 150 GHz. Significantly, this field overlaps completely with the BICEP Array observing field, enabling joint analyses of SPT and BICEP data which will deliver significantly better constraints on a potential signal from primordial gravitational waves than either instrument can provide alone. The first key project for the SPT, completed in October, 2011, was a 2500-square degree survey to search for clusters of galaxies using the Sunyaev–Zel'dovich effect, a distortion of the cosmic microwave background radiation (CMB) due to interactions between CMB photons and the Intracluster medium in galaxy clusters. The survey has found hundreds of clusters of galaxies over an extremely wide redshift range. When combined with accurate redshifts and mass estimates for the clusters, this survey will place interesting constraints on the Dark Energy equation of state. Data from the SPT-SZ survey have also been used to make the most sensitive existing measurements of the CMB power spectrum at angular scales smaller than roughly 5 arcminutes (multipole number larger than 2000)  and to discover a population of distant, gravitationally lensed dusty, star-forming galaxies. Data from the SPTpol camera was used to make several groundbreaking measurements, including the first detection of the so-called "B-mode" or "curl" component of the polarized CMB. This B-mode signal is generated at small angular scales by the gravitational lensing of the much larger primordial "E-mode" polarization signal (generated by scalar density perturbations at the time the CMB was emitted) and at large angular scales by the interaction of the CMB with a background of gravitational waves produced during the epoch of inflation. Measurements of the large-scale B-mode signal have the potential to constrain the energy scale of inflation, thus probing the physics of the universe at the earliest times and highest energy scales imaginable, but these measurements are limited by contamination from the lensing B modes. Using the larger E-mode component of the polarization and measurements of the CMB lensing potential, an estimate can be made of the lensing B modes and used to clean the large-scale measurements. This B-mode delensing was first demonstrated using SPTpol data. SPTpol data also has been used to make the most precise measurements of the E-mode power spectrum and temperature-E-mode correlation spectrum of the CMB and to make high-signal-to-noise maps of the projected matter density using reconstructions of the CMB lensing potential. The 1500-square-degree SPT-3G survey will be used to achieve multiple science goals, including unprecedented constraints on a background of primordial gravitational waves joint analysis of B-mode polarization with the BICEP Array, a unique sample of distant galaxy clusters for cosmological and cluster evolution studies, and constraints on fundamental physics such as the mass of the neutrinos and the existence of light relic particles in the early Universe. The South Pole Telescope is funded through the National Science Foundation Office of Polar Programs and the U.S. Department of Energy, with additional support from the Kavli Foundation and the Gordon and Betty Moore Foundation. The South Pole Telescope achieved first light on February 16, 2007, and began science observations in March 2007. Commissioning observations and an initial small survey were completed in austral winter 2007 with winter-overs Stephen Padin and Zak Staniszewski at its helm. Larger survey fields were completed in 2008 with winter-overs Keith Vanderlinde and Dana Hrubes, and in 2009 with winter-overs Erik Shirokoff and Ross Williamson. The camera was upgraded again in December 2009 for the 2010 observing season, and the full 2500 square-degree SPT-SZ survey was completed in the 2010 and 2011 observing seasons with winter-overs Dana Hrubes and Daniel Luong-Van. First light (the first observation) was achieved with the SPTpol camera on January 27, 2012. During the first season of observations, the winterover crew, Cynthia Chiang and Nicholas Huang, took data on a 100 square degree survey field. 2013 winterovers Dana Hrubes and Jason Gallicchio surveyed a larger field as part of the full SPTpol survey. This larger survey was seen to completion by 2014 winterovers Robert Citron and Nicholas Huang, 2015 winterovers Charlie Sievers and Todd Veach, and 2016 winterovers Christine Corbett Moran and Amy Lowitz. The first winter of SPT-3G observing was overseen by winterovers Daniel Michalik and Andrew Nadolski, and the winterovers for the current observing season are Adam Jones and Joshua Montgomery. ^ a b "South Pole Telescope eyes birth of first massive galaxies". United States Antarctic Program. 14 September 2012. Retrieved 11 February 2017. ^ "South Pole Telescope Public Pages". Retrieved 21 June 2015. ^ a b c "SPT instrumentation". Retrieved 7 October 2017. ^ "Telescope Optics". South Pole Telescope. Retrieved 5 April 2017. ^ a b J. E. Carlstrom; et al. (2009). "The 10 Meter South Pole Telescope". Publications of the Astronomical Society of the Pacific. 123 (903): 568–581. arXiv:0907.4445. Bibcode:2011PASP..123..568C. doi:10.1086/659879. ^ Chamberlin, R. A. (2001). "South Pole Submillimeter Sky Opacity and Correlations with Radiosonde Observations". J. Geophys. Res. Atmospheres. 106 (D17): 20101. Bibcode:2001JGR...10620101C. doi:10.1029/2001JD900208. ^ J. Ruhl; et al. (2004). "The South Pole Telescope". SPIE. Millimeter and Submillimeter Detectors for Astronomy II. 5498: 11–29. arXiv:astro-ph/0411122. Bibcode:2004SPIE.5498...11R. doi:10.1117/12.552473. ^ Z. Staniszewski; et al. (2009). "Galaxy Clusters Discovered with a Sunyaev–Zel'dovich Effect Survey". Astrophysical Journal. 701 (1): 32–41. arXiv:0810.1578. Bibcode:2009ApJ...701...32S. doi:10.1088/0004-637X/701/1/32. ^ a b K. Vanderlinde; et al. (2010). "Galaxy Clusters Selected with the Sunyaev–Zel'dovich Effect from 2008 South Pole Telescope Observations". Astrophysical Journal. 722 (1): 1180–1196. arXiv:1003.0003. Bibcode:2010ApJ...722.1180V. doi:10.1088/0004-637X/722/2/1180. ^ F. W. High; et al. (2010). "Optical Redshift and Richness Estimates for Galaxy Clusters Selected with the Sunyaev–Zel'dovich Effect from 2008 South Pole Telescope Observations". Astrophysical Journal. 723 (2): 1736–1747. arXiv:1003.0005. Bibcode:2010ApJ...723.1736H. doi:10.1088/0004-637X/723/2/1736. ^ M. Brodwin; et al. (2010). "SPT-CL J0546-5345: A Massive z>1 Galaxy Cluster Selected Via the Sunyaev–Zel'dovich Effect with the South Pole Telescope". Astrophysical Journal. 721 (1): 90–97. arXiv:1006.5639. Bibcode:2010ApJ...721...90B. doi:10.1088/0004-637X/721/1/90. ^ R. Foley; et al. (2011). "Discovery and Cosmological Implications of SPT-CL J2106-5844, the Most Massive Known Cluster at z > 1". Astrophysical Journal. 731 (2): 86. arXiv:1101.1286. Bibcode:2011ApJ...731...86F. doi:10.1088/0004-637X/731/2/86. ^ R. Williamson; et al. (2011). "A Sunyaev–Zel'dovich-selected Sample of the Most Massive Galaxy Clusters in the 2500 deg2 South Pole Telescope Survey" (PDF). Astrophysical Journal. 738 (2): 139. arXiv:1101.1290. Bibcode:2011ApJ...738..139W. doi:10.1088/0004-637X/738/2/139. ^ C. L. Reichardt; et al. (2013). "Galaxy Clusters Discovered via the Sunyaev–Zel'dovich Effect in the First 720 Square Degrees of the South Pole Telescope Survey". Astrophysical Journal. 763 (2): 127. arXiv:1203.5775. Bibcode:2013ApJ...763..127R. doi:10.1088/0004-637X/763/2/127. ^ B. A. Benson; et al. (2011). "Cosmological Constraints from Sunyaev–Zel'dovich-Selected Clusters with X-ray Observations in the First 178 Square Degrees of the South Pole Telescope Survey". arXiv:1112.5345 [hep-th]. ^ C. L. Reichardt; et al. (2012). "A measurement of secondary cosmic microwave background anisotropies with two years of South Pole Telescope observations". Astrophysical Journal. 755: 70. arXiv:1111.0932. Bibcode:2012ApJ...755...70R. doi:10.1088/0004-637X/755/1/70. ^ K. Story; et al. (2012). "A Measurement of the Cosmic Microwave Background Damping Tail from the 2500-square-degree SPT-SZ survey". The Astrophysical Journal. 779: 86. arXiv:1210.7231. Bibcode:2013ApJ...779...86S. doi:10.1088/0004-637X/779/1/86. ^ J. D. Vieira; et al. (2013). "Dusty starburst galaxies in the early Universe as revealed by gravitational lensin". Nature. 495 (7441): 344–347. arXiv:1303.2723. Bibcode:2013Natur.495..344V. doi:10.1038/nature12001. PMID 23485967. ^ Hanson, D.; Hoover, S.; Crites, A.; Ade, P. A. R.; Aird, K. A.; Austermann, J. E.; Beall, J. A.; Bender, A. N.; Benson, B. A. (2013-09-30). "Detection of B -Mode Polarization in the Cosmic Microwave Background with Data from the South Pole Telescope". Physical Review Letters. 111 (14). arXiv:1307.5830. Bibcode:2013PhRvL.111n1301H. doi:10.1103/PhysRevLett.111.141301. ISSN 0031-9007. ^ M. Zaldarriaga & U. Seljak (1998). "Gravitational lensing effect on cosmic microwave background polarization". Physical Review D. 58 (2): 023003. arXiv:astro-ph/9803150. Bibcode:1998PhRvD..58b3003Z. doi:10.1103/PhysRevD.58.023003. ^ U. Seljak & M. Zaldarriaga (1998). "Gravitational lensing effect on cosmic microwave background polarization". Physical Review Letters. 78 (11): 2054–2057. arXiv:astro-ph/9609169. Bibcode:1997PhRvL..78.2054S. doi:10.1103/PhysRevLett.78.2054. ^ Manzotti, A.; Story, K. T.; Wu, W. L. K.; Austermann, J. E.; Beall, J. A.; Bender, A. N.; Benson, B. A.; Bleem, L. E.; Bock, J. J. (2017-08-30). "CMB Polarization B-mode Delensing with SPTpol and Herschel". The Astrophysical Journal. 846 (1): 45. arXiv:1701.04396. Bibcode:2017ApJ...846...45M. doi:10.3847/1538-4357/aa82bb. ISSN 1538-4357. ^ Henning, J. W.; Sayre, J. T.; Reichardt, C. L.; Ade, P. A. R.; Anderson, A. J.; Austermann, J. E.; Beall, J. A.; Bender, A. N.; Benson, B. A. (2017-07-28). "Measurements of the Temperature and E-Mode Polarization of the CMB from 500 Square Degrees of SPTpol Data". The Astrophysical Journal. 852 (2): 97. arXiv:1707.09353. Bibcode:2018ApJ...852...97H. doi:10.3847/1538-4357/aa9ff4. 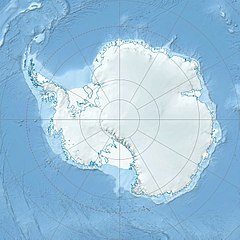 Wikimedia Commons has media related to South Pole Telescope.